There are numerous fixtures and features provided by manufacturers in vehicles to make it easy for the driver to navigate the roads without fear of causing an accident. Many drivers do not make the optimum use of these fixtures out of laziness or ignorance which is a pity. A little attention to them and a driver’s life can be so much more easy! For example, it is essential for a driver to keep an eye on the movement of the traffic behind him to see who is approaching him at what speed, who wants to change the lane or overtake him, who is ‘blinking’ his headlights to ask him to get out of the way, and so on. This is where the role of the mirrors in the car comes into the picture. Thus, while it is necessary to focus on the road ahead, one should at regular intervals throw a glance at the rear-view mirror too, installed above the windscreen. A driver should therefore make sure, when he starts his car, to adjust it to suit his convenience in terms of keeping an eye at the rear of the vehicle. 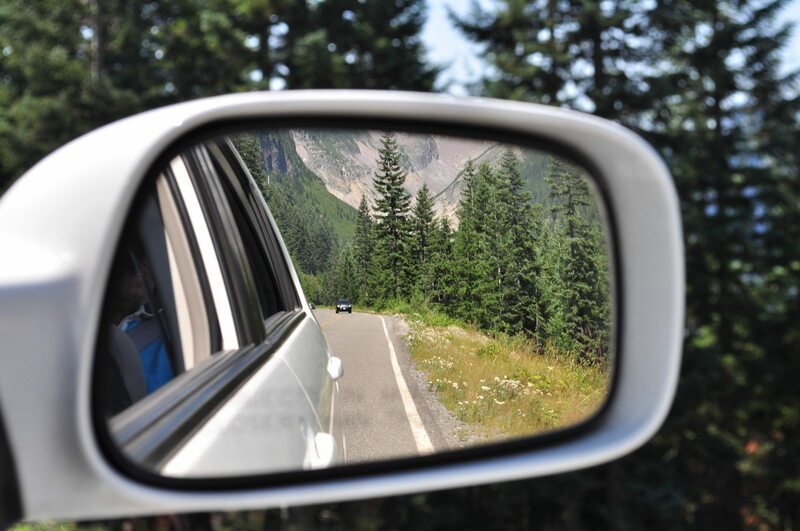 No less important is the role of side-view mirrors. These enable a driver to take a closer look at who is trying to overtake him and also enable him to avoid colliding with a vehicle when he himself is trying to make a left or right turn. But remember, even while using the side-view mirrors, a driver must turn his head to personally ensure there is no danger in the ‘blind area’ – the space between the rear-view mirror and the carboot – because a vehicle running parallel to a driver’s car can sometimes escape the view from the side-view mirrors. One often notices on the road, drivers turning to the left or the right without indicating their intent by way of signalling. This is bad manners. For example, if you are about to leave the highway to enter a right lane and do not give indicator, it forces the drivers emerging from that lane to join the highway to stop unnecessarily because in the absence of your indicator they will take it that you mean to go straight. Therefore do give an indicator. Do not be lazy. It is only a matter of a flick of the finger on the indicator stick on your steering wheel, that will ensure safety not only for you but for on the road with you. Similarly, if you have to momentarily slow down due to some accident or sudden traffic jam ahead or even to drop a passenger, without getting out yourself, remember to signify your intent by using the hazard lights. Otherwise, if you slow down suddenly the vehicle behind you might plough into you. And if you stop in an area where no stopping of vehicles is allowed without the hazard lights, the vehicle behind you might hit you.